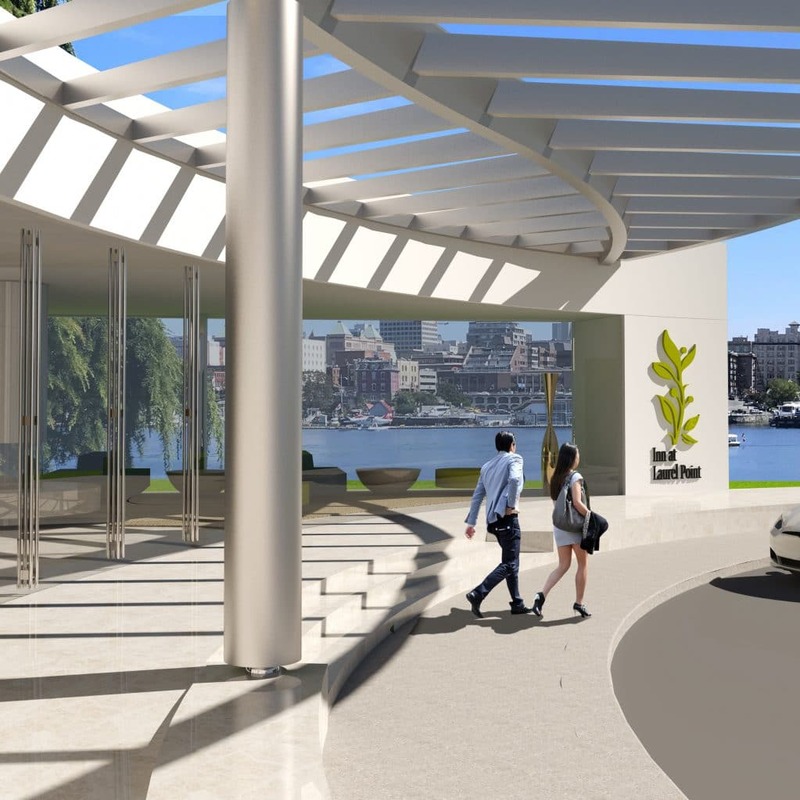 Beginning October 2018, the Inn at Laurel Point will embark on an exciting renewal project transforming the hotel’s entrance, arrival experience and lobby, as well as updating AURA waterfront restaurant + patio and meeting space. Architect John Graham, of Graham Sherwin Studio, was commissioned for the renewal. 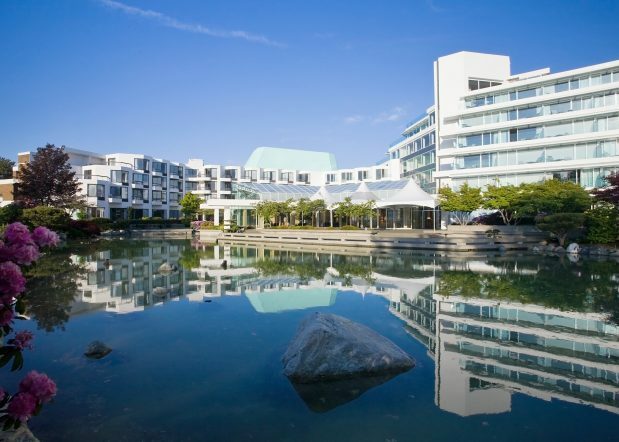 For Graham, it is a coming home project of sorts, as he was the junior architect on the hotel’s stunning Erickson Wing project, working side by side with renowned architect Erickson. The visionary behind over 700 buildings worldwide, Erickson’s noteworthy contributions and innovative design work earned him the Gold Medal from the American Institute of Architects in 1986. The highest honor bestowed by the AIA, Erickson was the first Canadian to receive the reward. 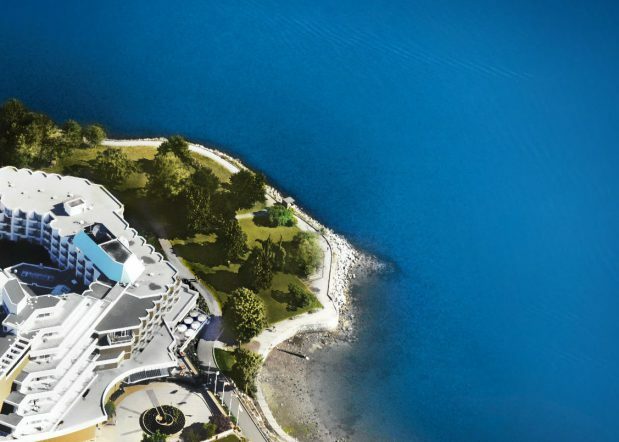 The new plans are inspired by the Inn’s unique waterfront location, connecting Victoria’s inner and outer harbours. The architectural style – modern, warm, relaxed and serene – reflects how guests feel while spending time in this special place. 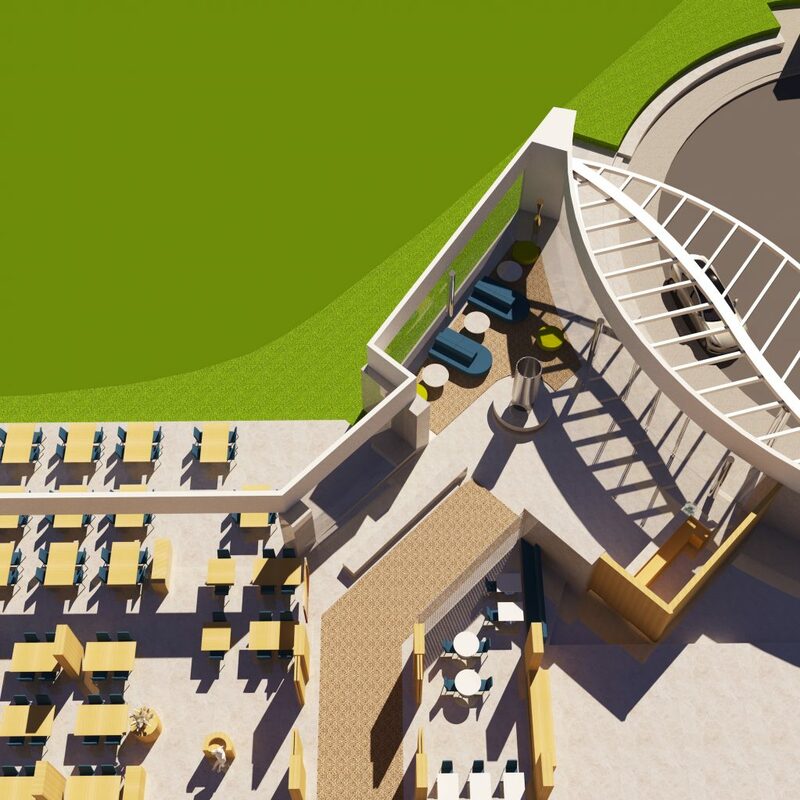 “Guests will have the sensation of standing on the prow of a ship, and be greeted by sweeping views of the harbour, and beyond, from the moment they arrive,” says Graham. During the half-year renewal period, the hotel will have a temporary entrance with guest check-in area, as well as on-site catering, a guest dining room and event spaces. The indoor pool, fitness studio, in-room spa services and bicycle rentals will also be available throughout this time. Further, to minimize disruption, construction will be limited to weekdays between approximately 8:00 am to 5:00 pm; when it’s anticipated that most guests will be out on business or exploring Victoria’s world-class sights, attractions and restaurants. “We can’t wait to see the wonder that the hotel’s new entrance will evoke,” says Graham. 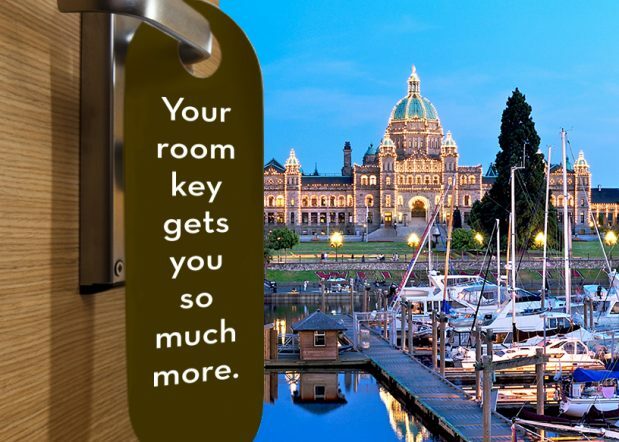 During this renewal period guests have the option of choosing from guest room rates starting at $139 CAD per night, plus taxes based on availability.